At your request we would do an onsite inspection of your property. Then we would gather data from several sources including-Soil Maps, Aerial Photos, FSA data, Property Tax data, recent sales of comparable land And an inventory of other similar property that may be for sale in the area. We would make recommendations to you as to pricing and method of sale. Upon receiving your authorization we would hire our FAA approved Aerial Photography service For drone video footage with professional voice-over. And of course add this to our marketing brochures. We are happy to act as your buyers agent. We do our best to stay current with farm Properties that may be for sale in your targeted area. With nearly 38 years in the Business we have developed a tremendous network of Real Estate Land Brokers, Agricultural Lenders, Attorneys and most importantly farmers and investors. Brokers Monte Van Kooten and James Anderson formed Sterling Land Company as a real estate firm to be devoted exclusively to Illinois Farmland Sales. First sale ever was 92 acres in Carroll County-Sold for a grand total of $1,844/Acre. We sold a total of 26 farms that first year including 5 farms in Champaign County and 7 in Carroll County. Back in those days you could buy some of the best Illinois farmland for $3,000 to $3,500 per Acre. Another strong year for SLC farm sales. 30 farms totaling 4,500 acres were sold in 2000. Highest priced farm-120 acres in Lee County sold for $4,193/Acre. 32 farms sold -over 4,100 acres. Notable sales included 520 acres near Mt. Carroll. We were also hired by University of Illinois Foundation to sell 2 farms in Lee County. -Sold the “Bowles” farm in Carroll County-497 acres for $3,569/Acre. Almost the exact same price Van Kooten sold this farm for back in 1981. Within 10 years this farm would likely have brought up to or even more than $12,000/Acre. Also sold the “Wilder” farm in Whiteside County-1,450 total acres sold for $2,750/Acre. Seller was real estate mogul Maurice Wilder who amassed some 100,000 total acres in several states. 37 farms sold for nearly $20,000,000-13 in Lee County, 9 in Bureau County, 8 in Whiteside. And a Class A 856 acre farm in McDonough for $3,811/Acre. When I was 49 it was a very good year for Illinois farmland sales. We sold some 26 farms in 6 different counties. The best farmland in the world could still be found for well under $5,000/Acre. Sold an excellent 647 acre farm in Christian/Macon Counties for $4,174. Most likely worth up to $12,000/Acre by now. Also sold the “Wilder” farm for the 2nd time in 3 years. 1,450 acres sold for $4,250/Acre after bringing $2,750 just 3 years prior. Sold the “Behr” farm in Carroll County-994 acres @$3,320/Acre. Also an excellent 430 acre farm (Productivity Index-140) in Bureau County that came in at $5,291/Acre..
18 Illinois farms sold in 6 separate counties. About 2,900 acres total. One of the largest land sales ever in Winnebago County, we sold the “Wecker” farm consisting of 1,427 total acres. 22 farms sold. Illinois farmland hits $7,000 plus per acre. September 22, 2011-We sent out our first ever “Sterling Land Company Land Report” to some 75 recipients. Now in its 7th year we have never missed a month and it is read by over 1,400 online readers in the agricultural industry, including farmers, investors, attorneys and bankers. Farmers National Bank as Trustee hired us to sell our first ever farm at public auction. To say it was a resounding success would actually be an understatement. December 3, 2012-The “Oetzel” farm-660 acres sold in 6 parcels for an average of $13,565/Acre. The Community Foundation of Northern Illinois selected Sterling Land Company to be their exclusive agent for the sale of 841 acres the Foundation had received through a bequest given by Dr. Louis and Violet Rubin. Average price for the 4 farms was just under $12,500/Acre. Notable Sales for the year included 332 acres in DeKalb County near Genoa sold for $12,500/Acre and a 205 acre tract in Piatt County that sold for $11,500/Acre. Co-Owner and Co-Founder of Sterling Land Company James Anderson decided to start his own firm-Anderson Land Company-after 16 highly successful years with SLC. Bit of an off year for us, just 5 farms sold-including the “Long Lane” farm in Putnam County-330 acres. We did manage to go on a 10 day hiking trip to Machu Picchu though. We also engaged the services of Drew Wilkens with Uneek Perspective, Inc. for the first time to utilize his Drone/Aerial technology for marketing purposes. Sterling Land Company once again in collaboration with Auctioneer Gordon Stade managed a highly successful public auction. June 20, 2017- The “Leaf River Ranch” 1,412 total acres-Ogle County-sold for $7,539,000 well above Pre-Auction estimates. Monte Van Kooten, owner of Sterling Land Company, has served as the company’s managing broker since its inception in 1999. Starting his career in real estate in 1980, Mr. Van Kooten has developed an excellent reputation as a fair­-minded business associate who provides straight and honest answers. In addition to his work as a managing broker, Monte shares his expertise and knowledge by writing and publishing the Sterling Land Company Land Report, a popular semi­-monthly report that provides readers with insights on the latest land sales and real estate trends in Illinois. As a member of the Realtors Land Institute-a global network of land professionals and The Chicago Farmers, a non­-profit organization dedicated to providing “a forum for education and an exchange of information between member and others allied in agribusiness,” Monte has the unique ability to understand and overcome the challenges that buyers and sellers of land in Illinois face. When not actively engaging in land deals, you can find Monte, who is also a certified Private Pilot flying over picturesque, Illinois farm properties or enjoying a few rounds of golf during the summer months. Dan has been with Sterling Land Company since 2002. He has held an Illinois Real Estate license since 1989. Dan also does extensive farm real estate work throughout Illinois and Wisconsin. He is an accredited member of the American and Illinois Society of Farm Managers and Appraisers. Dan also serves on the DeKalb County Board and Tax Assessment Board of Review. Dan lives outside of Somonauk and runs his own small cattle farm in DeKalb County. Preston grew up on a small family farm in Central Illinois and has spent his life immersed in Illinois agriculture. At a young age, he developed his love for farm ground and the people that work with it and on it. It was that love for ag that sent him to study agribusiness in Champaign at the University of Illinois. After school, Preston moved to Northern Illinois to work as a district manager for a major family owned seed company. Once he laid down roots in Northern IL, Preston was able to further his passion for helping neighboring farmers navigate major agronomic decisions. Humble service, relentless drive, attention to detail, and a gritty work ethic helped Preston establish a thriving seed business from Freeport to Sterling, Mendota, Dekalb and Rockford. In 2017, Preston started to consider other ways to serve his customers, friends, and neighbors which led him to Sterling Land Company. Preston’s deep network in Central IL, coupled with his daily engagement with growers and ag professionals across Northern IL give him a unique advantage in agricultural real estate. He is able to bring an authentic, professional, boots-on-the-ground approach pairing together buyers and sellers. Give him a call today and put him to work for you. Martin comes from a multi-generational farm family and has been involved in farming and agribusiness his entire life. His lifetime experiences have given him a love and appreciation of the land and land values, as well as the importance of proper stewardship to maintain it’s integrity for future generations. 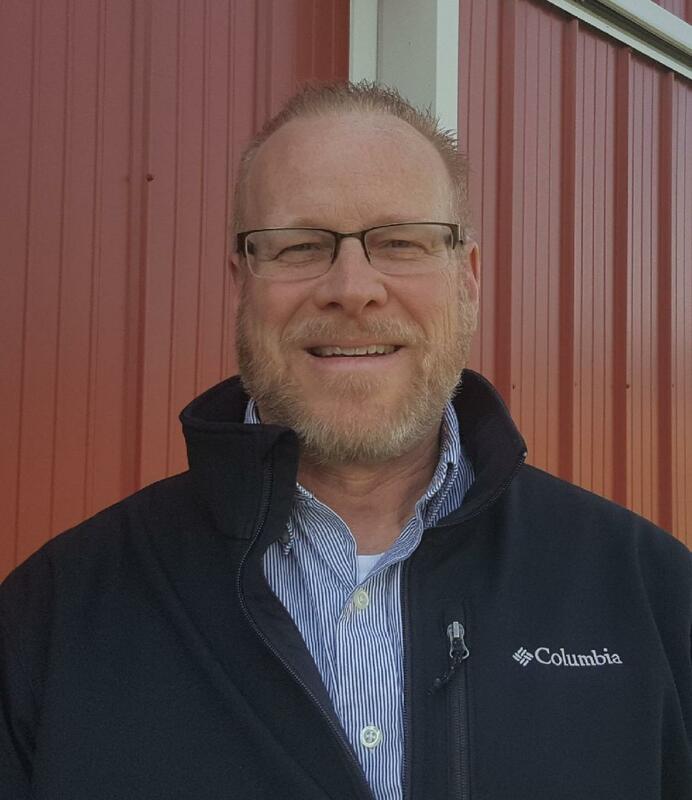 Martin has worked extensively providing sales and support to farmers throughout Illinois and Wisconsin. He is dedicated to providing expertise and knowledge to assist buyers and sellers of farmland and rural property. 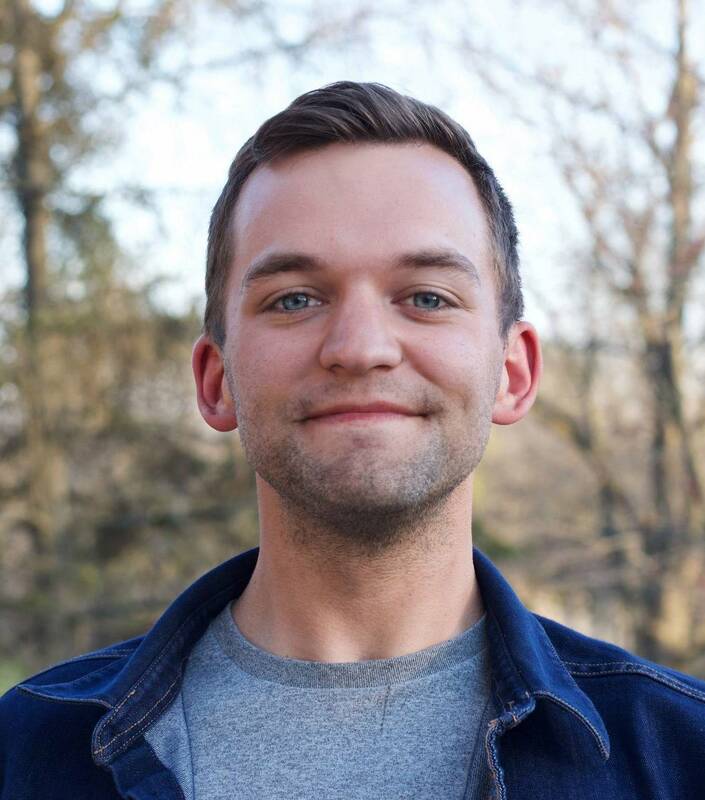 Martin is a graduate of the University of Illinois with a degree in Agriculture and currently resides north of Sterling on the family farm where he maintains a small beef cow herd. At a young age, Jon would travel to small towns throughout the state to help with the family race car. Visiting the tracks in towns like: La Salle, Morris, Farmer City, Fairbury, Macon, Kankakee, Sycamore, Canton and others, would involve cruising through some of the best farmland in the world. A desire to live on a farm grew from observations made on these trips. A member of the Sterling Land Company Sales team since 2002, Jon was first a client before becoming an employee. After purchasing land listed with Sterling Land Company, Jon became intrigued with the land market and secured his real estate license to become part of the team. Although family obligations called him back to the suburbs of Chicago, Jon takes every opportunity to head out to farm country and breath that fresh country air. A unique perspective comes from having personally lived in both the suburbs and out on the farm. This life experience is especially helpful when dealing with fellow suburbanites who have the same dream of owning or living on a farm. Glenda Seradilla has been with Sterling Land Company since 2005. Glenda does an excellent job keeping things running smoothly in the background enabling us to work with clients as much as possible. Of course a lot of people know Glenda as the popular fitness instructor at a local health club.